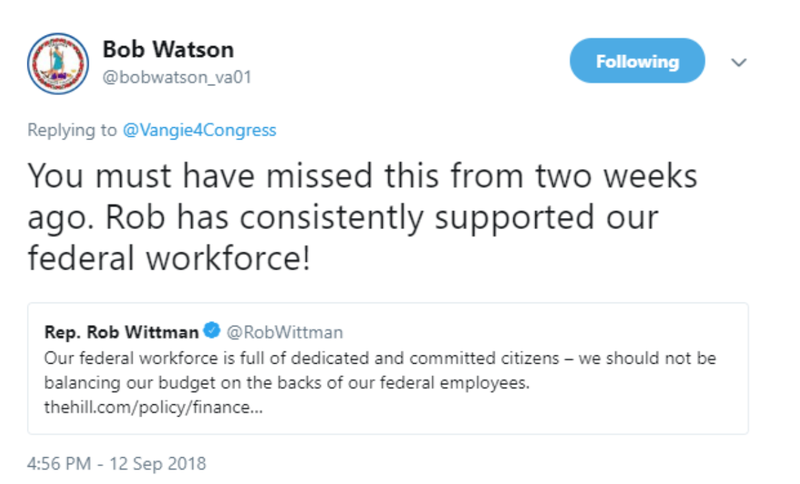 Right now, Vangie Williams and her effort to unseat Rep. Wittman is Exhibit #1 in this hypocritical showcase. In her desperation to energize the extreme left against Rep. Wittman, Vangie Williams is resorting to blatant lies. 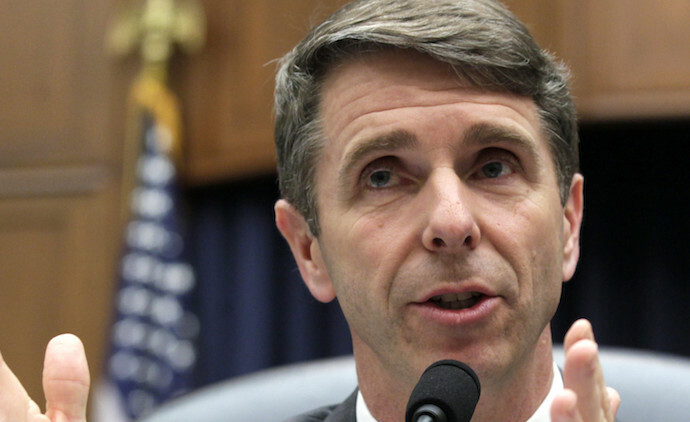 Rep. Wittman is known as an honest conservative voice for the people of the 1st District who is willing to put his constituents first. 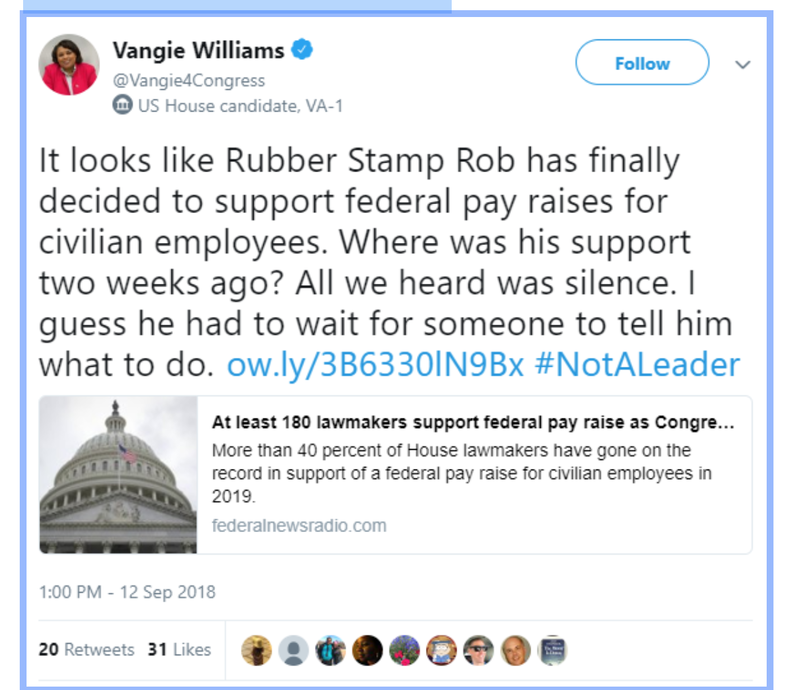 On the afternoon of September 12, Vangie Williams tweeted that Rep. Wittman is a rubber stamp for President Trump who has been silent on the issue of a possible pay cut for federal employees. 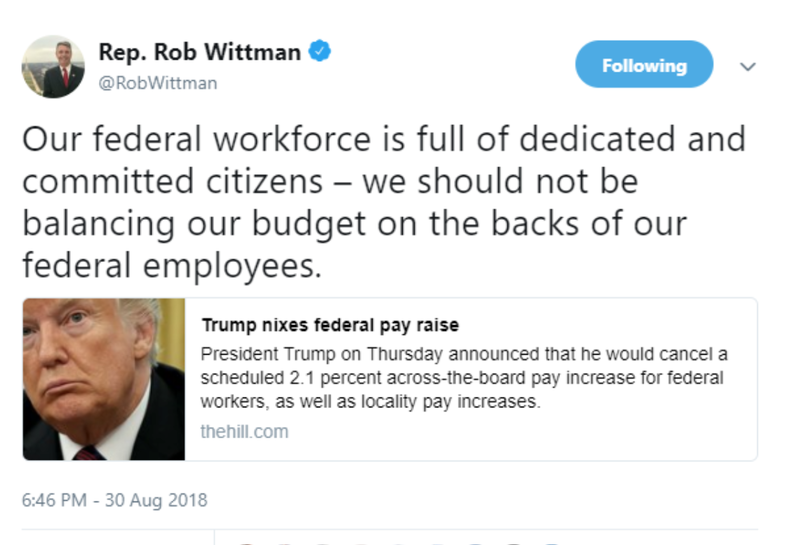 The only problem… Rep. Wittman was standing up for federal employees right out of the gate. He didn’t need orders from anyone to stand up for his constituents. Check out the comments from Rep. Wittman from “two weeks ago” that Vangie Williams intentionally disregarded. If Vangie Williams can’t be trusted to tell the truth during her campaign, why should voters trust her enough to send her to Washington? 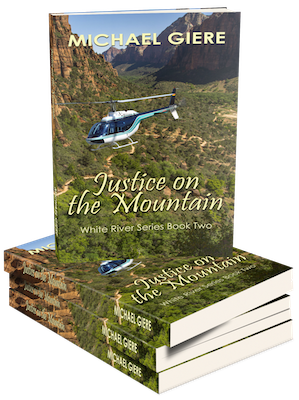 Voters in the district were quick to stand up for Rob and call her out as Bob Watson gently reminded her of her disregard for the truth. We’ll see if Vangie Williams continues to resort to lies to gin up her base, or will allow this to be an honest campaign on the ideas the candidates are advocating for. Kurt Posner is the nom-de-plume of a liberty-minded conservative transplant from New Jersey to Virginia. He works as a policy analyst for a trade association based in Alexandria, and lives with his wife and two children in Prince William County and his farm in the Shenandoah Valley. Kurt's first involvement in politics was as a teenage volunteer for Jack Kemp's 1988 run for the Republican nomination for President.